COLLEGE STATION, Texas — Riding a 15-game win streak, No. 1 Tennessee has a chance to set the program record for consecutive victories Saturday night on the road against Texas A&M at Reed Arena. The game will tip at 8 p.m. ET and will be televised on ESPN and can also be viewed online through WatchESPN. Fans can listen live on their local Vol Network affiliate to hear Bob Kesling and Bert Bertelkamp describing the action. The UT record for consecutive wins has stood for more than a century, dating back to a 15-game stretch during the 1915-17 seasons. The Vols (19-1, 7-0 SEC) matched that mark Tuesday night with a 92-70 win at South Carolina, as Admiral Schofield (24) and Grant Williams (23) posted 20-point games. The Aggies (8-11, 1-6 SEC) lost several key pieces from last year’s Sweet Sixteen squad, including three of their top four players. Sophomore guard TJ Starks (13.3 ppg, 3.6 apg) has stepped up as the leader for this year’s squad, pacing the team in scoring and assists. Sophomore forward Savion Flagg (12.3 ppg, 8.0 rpg, 2.6 apg) has also taken on an increased role. After Saturday’s showdown, Tennessee returns home for a three-game stand, beginning with a matchup against Missouri on Tuesday at 9 p.m.
• Tennessee leads the all-time series with Texas A&M, 7-5, dating to 1951. The Vols have won each of the last two meetings. • The series is deadlocked at 2-2 when it is played in College Station. • Extend Tennessee’s win streak to 16 games, which would stand as the longest win streak in the program’s 110-year history. • Stretch the Vols’ true road game win streak to eight. • Give UT an nine-game win streak in regular-season SEC contests. • Make the Vols 5-1 all-time as the AP’s top-ranked team. • Give Tennessee 20 wins earlier than any previous season. The 2007-08 SEC Championship team notched its 20th victory on Feb. 5. • Saturday is UT’s first appearance in the Lone Star State since falling to Loyola-Chicago in last year’s NCAA Tournament. 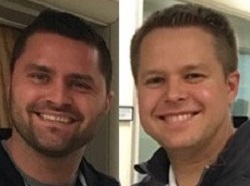 • At tipoff Saturday, 70 full days will have elapsed since Tennessee’s last loss. • The Volunteers received 48 of 64 first-place votes in this week’s AP Top 25 poll. This is the third week in history that Tennessee has been ranked No. 1. • The Vols have shot 50 percent or better in 14 games this season and rank second in the country with a .510 field-goal percentage. • Only two Division I players have more free throw attempts than Grant Williams this season (169), and he also ranks third in makes (140). • Grant Williams leads the SEC in scoring (20.4 ppg), ranks second in field-goal percentage (.573), sixth in free-throw percentage (.828) and seventh in rebounding (7.4 rpg). • Admiral Schofield is the SEC’s fourth-leading scorer (17.0 ppg). • Point guard Jordan Bone owns the ninth-best assist/turnover ratio (3.49) in Division I and ranks 15th in the country in assists per game (6.5 apg). • Lamonté Turner is averaging 11.6 points off the bench in SEC play. • During league play, SEC Sixth Man of the Year candidate Jordan Bowden ranks second on the team and ninth in the SEC with 16.2 points per game. But he missed Tuesday’s game at South Carolina with a knee injury. • Billy Kennedy and Texas A&M (8-11, 1-6 SEC) entered the season fresh off a Sweet Sixteen appearance in last year’s NCAA Tournament. However, the Aggies lost several key pieces from that team, including three of their top four players. The lone Aggie starter set to return was Admon Gilder, but a medical issue has forced him to sit out the season. • Sophomore guard TJ Starks (13.3 ppg, 3.6 apg) has stepped up as the leader for this year’s squad, pacing the team in scoring and assists. Sophomore forward Savion Flagg (12.3 ppg, 8.0 rpg, 2.6 apg) has also taken on an increased role following the departure of Tyler Davis and Robert Williams from last year’s team. • Junior forward Josh Nebo (8.4 ppg, 5.8 rpg, 2.6 bpg) is a force in the paint. He is shooting 77 percent from the field this season and ranks second in the SEC in blocks with 50. Junior guard Wendell Mitchell (11.3 ppg, 4.1 rpg, 2.1 apg, 1.7 spg) rounds out the double-digit scorers for Texas A&M. • The Aggies have a couple of solid wins so far this season, beating Alabama on the road and Kansas State in the SEC/Big 12 Challenge last week. A&M also played a tough non-conference schedule with games against Gonzaga, Minnesota and Washington all contested away from home. • Kyle Alexander scored a career-high 14 points and No. 24 Tennessee held off Texas A&M on Jan. 13, 2018. at Thompson-Boling Arena, 75-62. • The Vols forced 17 Texas A&M turnovers, the second-most of the season for the Aggies, on their way to a third-straight SEC win. The win was also Tennessee’s first over Texas A&M in Knoxville since the Aggies joined the SEC in 2012. • Tennessee led by as many as 14 at 65-51 with 6:27 remaining, but Texas A&M put together a quick 8-0 run to cut the lead to six with 3:41 to go. From there, the Vols finished strong, ending the game on a 10-3 run. • In addition to Alexander’s performance, Jordan Bowden turned in a stellar outing, leading Tennessee in scoring with 15 points and grabbing six rebounds. Admiral Schofield and Jordan Bone also scored in double figures, with 12 and 10 points, respectively. • Admon Gilder paced Texas A&M with 16 points on 7-of-13 shooting, while DJ Hogg added 13. The Vols held Tyler Davis, the Aggies’ leading scorer who came in averaging 14.6 points per game, to just nine points. • Trailing 12-11 midway through the first half, Tennessee used a 13-3 run to take a 24-17 lead with 8:02 before halftime, a lead it would never relinquish. • The Vols battled their way to a 36-28 halftime advantage, with seven different Vols scoring in the opening period. The lead at the break came thanks in part to Texas A&M’s 13 turnovers, which Tennessee converted into 15 points. • The Vols made it their 11th game of the season with 15 or more points off turnovers, scoring 22 points off the Aggies’ 17 miscues. • The contest marked the 1,000th game of Rick Barnes‘ Division I head coaching career. • Grant Williams tied Tennessee’s all-time, single-game record for blocked shots with six in last year’s win over the Aggies in College Station. He also added 12 points and five rebounds in the victory. 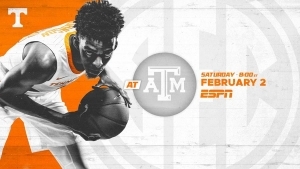 • In the longest game in Tennessee basketball history, the Vols posted an epic 93-85 four-overtime win at Texas A&M Feb. 23, 2013, in the first game between the teams as conference foes. Trae Golden tallied 32 points for the Vols, while Jarnell Stokes totaled 20 points and 16 rebounds, and Jordan McRae scored 23. • Tony White posted the highest points total by a Vol in the series when he scored 34 vs. the Aggies in an 88-70 UT home win on Dec. 7, 1985. • Herb Neff (13 pts, 14 rebs) and Charlie Hipsher (11 pts, 12 rebs) each logged double-doubles for Tennessee as the Vols downed Texas A&M 60-52 in the first-ever meeting between the programs on Dec. 15, 1951, in Knoxville. • Houston native Brandon Crump averaged 16.0 points, 9.0 rebounds and 2.0 blocks in two career games against the Aggies. His three blocks against A&M during an 83-66 loss in College Station on Dec. 4, 2002, are the most by a Vol in the series. • As a head coach, Rick Barnes has faced Texas A&M 35 times, compiling a 27-8 (.771) record. • His Texas teams went 23-7 vs. the Aggies from 1999-2015, and he also led Clemson to a 2-0 record against A&M in the mid-90s. • The only teams Barnes has faced more than the Aggies are Oklahoma (41 meetings), Oklahoma State (40), Baylor (39) and Texas Tech (37). • There can be no doubt Texas owes a great debt of gratitude for its statehood to the fierce men from Tennessee. • Before the Alamo fell, 33 Tennesseans, the largest number of defenders provided by any state — nearly four times as many as from Texas — kept Mexican General Santa Anna’s overwhelming army at bay for 13 days against unbelievable odds. • On March 6, 1836, the brave Tennessee Volunteers and the other Alamo defenders were overrun and breathed their last. • However, the crucial days the Volunteers slowed down the Mexican army gave another Tennessean, Sam Houston, enough time to gallop through Texas raising an army to defend what would become the Lone Star State. This army defeated Santa Anna in no small part because of the contributions of Tennessee’s Volunteers. • Tennessee is riding a 15-game win streak, which ties as the longest in program history. • It is the second-longest active win streak in Division I, trailing only Hofstra (16). • Tennessee’s 20-game home win streak is the second-longest active streak in Division I. Houston has won 30 straight at home; Buffalo also has won 20 straight. • The Vols’ seven-game active win streak in true road games is the second-longest in Division I, trailing only Hofstra (7). • Dating to the start of last season, Tennessee has won 19 total games away from home. • That includes victories this year over Louisville and Gonzaga (both at neutral sites) as well as wins at Memphis, Missouri, Florida, Vanderbilt and South Carolina. • Tennessee’s scoring output has been balanced in each half this season. • The Vols score 42.8 points in the first half of games (855 total points). 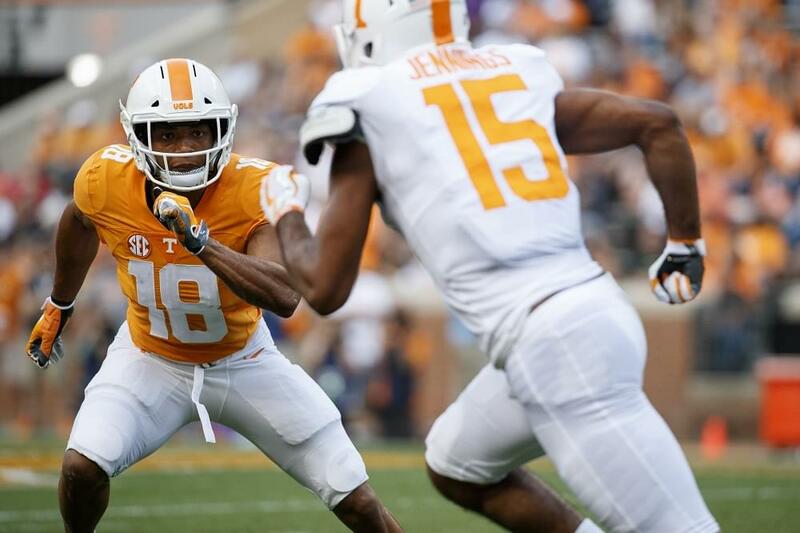 • Tennessee’s second-half scoring average stands at 42.4 points (848 total points). • The Vols have been to overtime twice this season, scoring 12 points in the extra period each time.